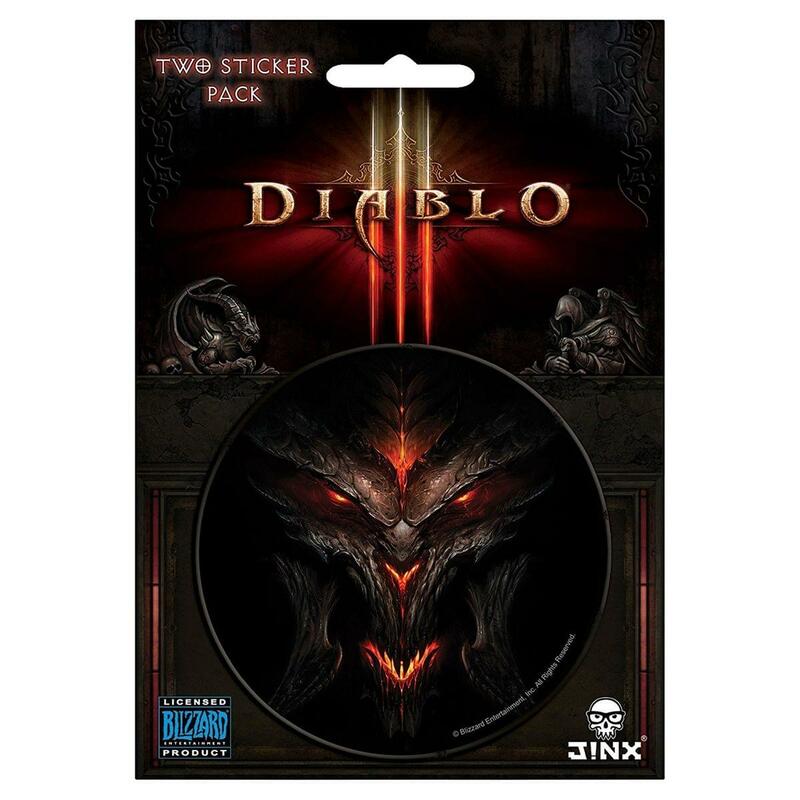 Show off your love of Blizzard's hit dungeon crawler Diablo III with this awesome sticker set! 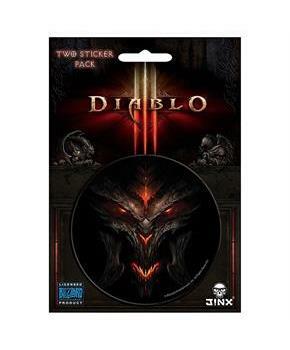 This 2-pack includes Diablo, Lord of Terror and Diablo III logo stickers. Stickers come on a 4 inch x 5.75 inch card; main sticker is 3 inches in diameter. Quality durable soft vinyl plastic stickers are good for indoor or outdoor use. Officially licensed. Designed and created by JINX.